The Mauviel M'cook saute pan offers you the highest culinary technology. 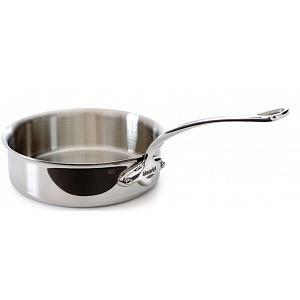 Saute pans are a hybrid between frying and sauce pans and are extremely versatile. This saute pan provides you with perfect heat conductivity and heat distribution, thanks to its 5 layer stainless steel construction. Mess free cooking is guaranteed thanks to its no-drip edge. 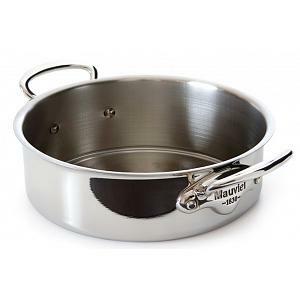 The Mauviel saute pan features a multi-ply 18/10 stainless steel construction. The polished outside finish is sure to look stunning in your kitchen. The pan has a stainless steel handle, securely attached with stainless steel rivets. 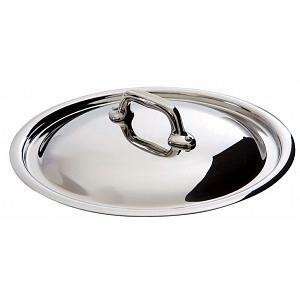 The saute pan has a capacity of 3L / 3.1qt and a diameter of 24cm / 9.5 inches. The pan can be used on gas, electric, halogen, and induction stoves. It's dishwasher safe and goes into the oven too! 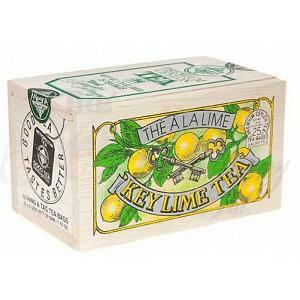 The Mauviel saute pan has a lifetime warranty and was proudly made in France. Check below for a larger size and a matching lid.